An easy drive from Innamincka to Thargomindah for a couple of days on the Bulloo River. Then off to Eulo. Called in to see Lake Bindegolly National Park on the way. It is a wetland in good seasons and clearly this is not a good season. 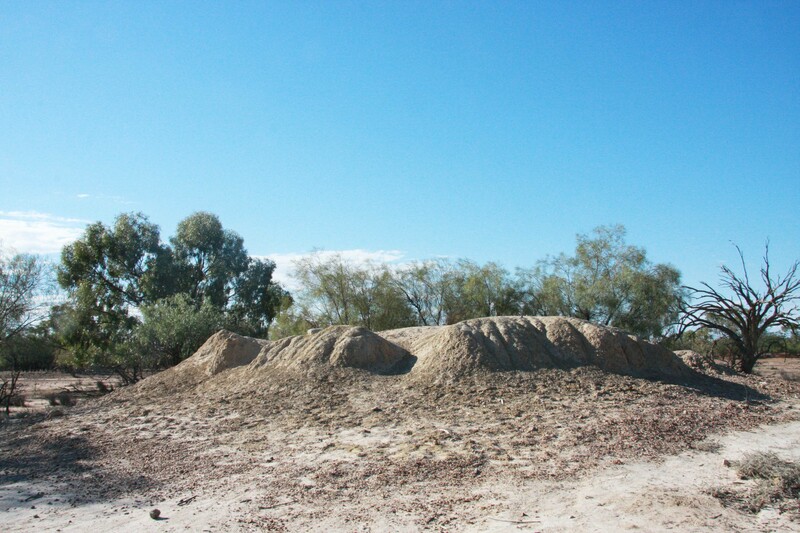 I also passed a mud mound spring on journey to Eulo, which arises from the Great Artesian Basin. 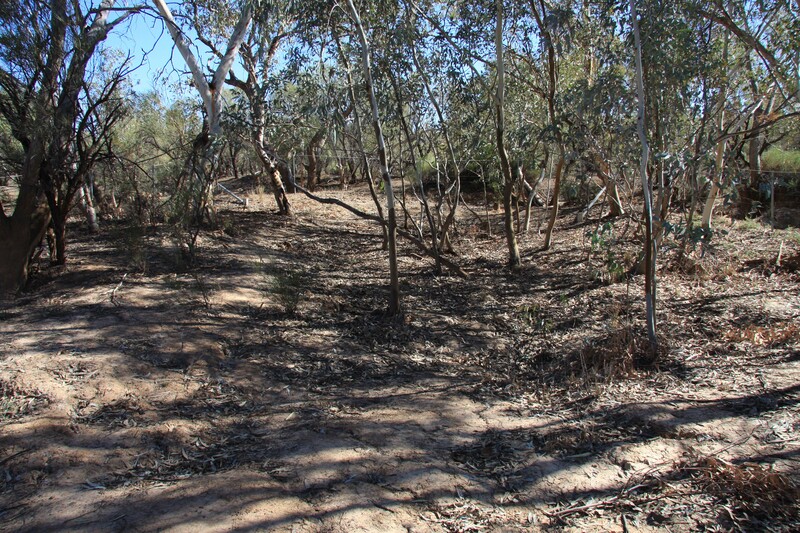 Unfortunately because of the amount of water taken from the basin over the years the spring is now dry. I’m in Eulo enjoying the quietness of a tiny outback town; one fart and you have missed it, well, maybe two. Hang on, I have to take a break, it’s 24 °C with a breeze and I am cold, I have to get a jacket. That’s better. 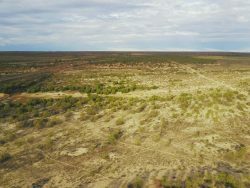 Eulo is on the Paroo River in Paroo Shire, a shire of close to 50,000 square kilometres and a population of only 1,800 people. 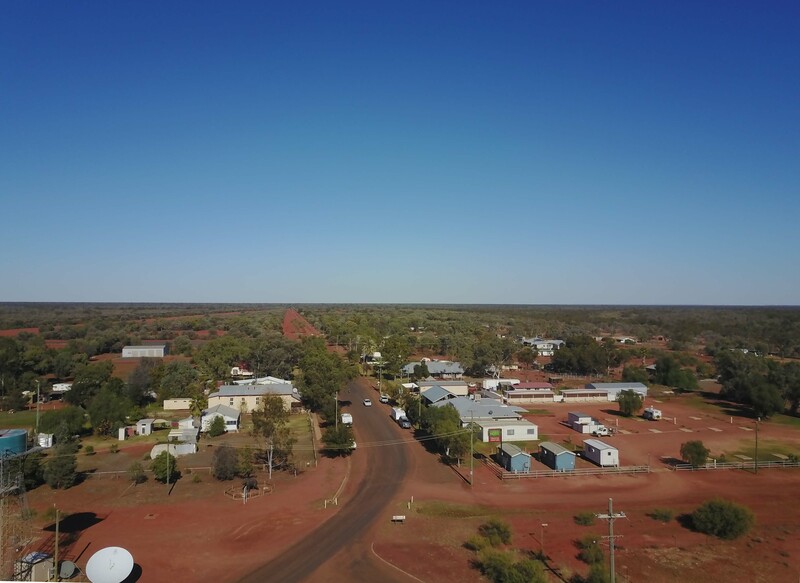 But that’s massive compared to Bulloo Shire that I drove through on the way here; their population is only 387 people in an area of 74,000 square kilometres. 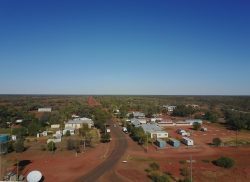 The population of Eulo is 48 people, so it is a small place. 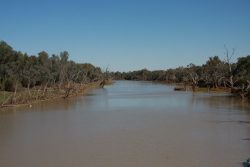 The Paroo River is the last free flowing river in the northern part of the Murray Darling System. 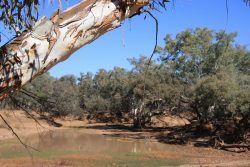 In wet years it flows into the Darling and in drier years it fills Paroo Overflow wetlands in northern NSW. I am reading Tim Winton’s Island Home and enjoying his descriptions of Australia and how it is different to every other nation. Wonderful stuff, but then he says “…from the get-go”. How can he write that? So American, so not Australian. We used to say from the start, some of us still do. It’s the same as asking for a bathroom, when you really want a toilet, but don’t get me started, or should I say “get-going”. 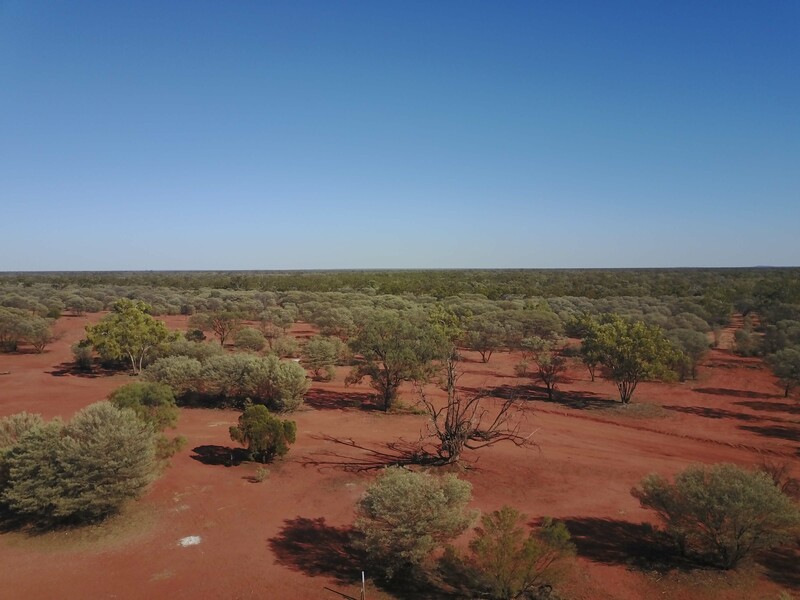 There some wonderful things about being outback. The sky for one, at night, in the day, in the dawn, and in the dusk. Night brings endless stars, bright into the distance of space, the vastness, the number, the beauty are awe-inspiring. Day sees a sky of deep and vibrant blue, most days clouds do not interrupt. Then in the mornings and at dusk the orange of the sun as it rises or sets fills the horizon with orange across a vast expanse. Silhouettes of trees sometimes provide a contrast of black against the orange. The outback sky is wonderful. Another wonder is the horizons that stretch away from you in all directions. No buildings, bridges, train lines, power poles, just the endless horizon. Wonderful. It’s not often you can see the curvature of the earth on land. 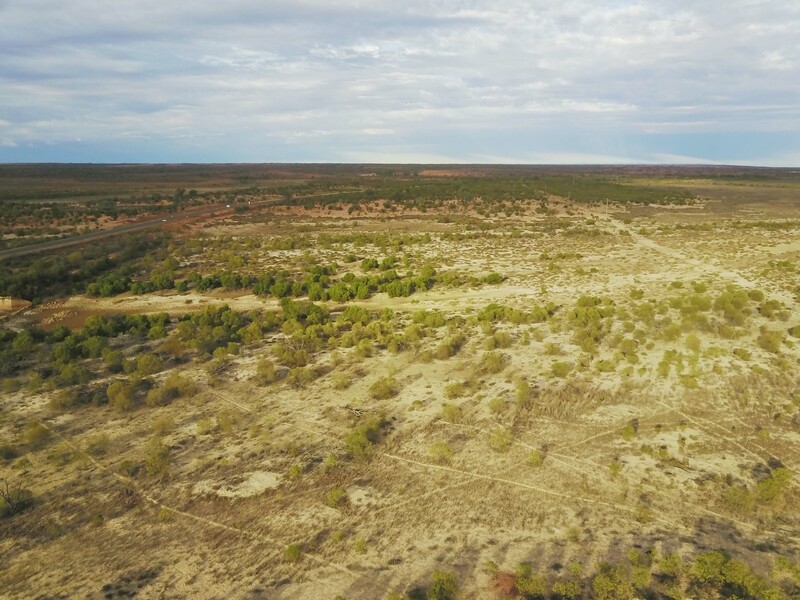 Then there is the quiet solitude of the outback. No sound except the occasional twitter of a bird or the rustle of the breeze in a tree. You can lose yourself in your thoughts; drift off to where ever your thoughts take you. Finally there is the heat. At first you find it oppressive and wonder how you will cope. It is almost overwhelming. But after a few days you acclimatise and enjoy the warmth. 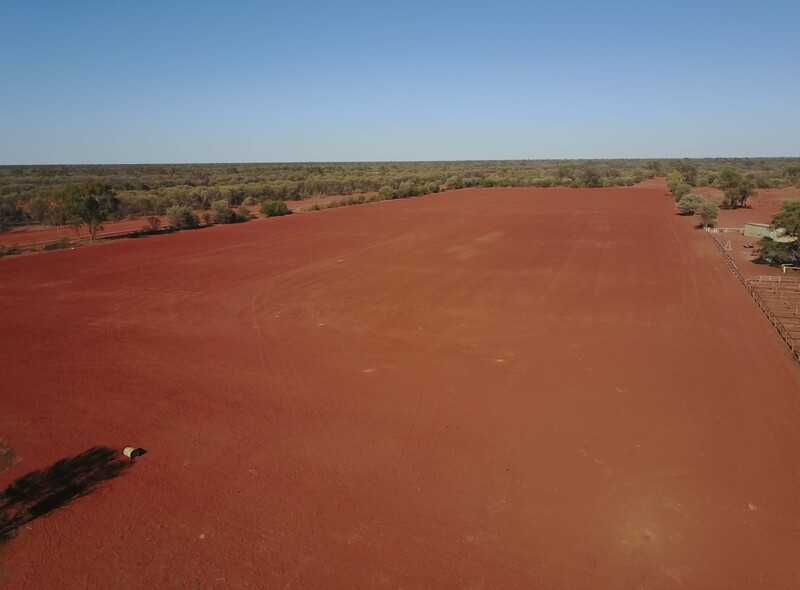 It is so dry, no humidity, it feels so Australian, hot sun, blue sky, endless horizons, what a place to be. I love it, I feel at home. But how could I forget the red dirt. Stains everything and gets everywhere. Iconic Australia. 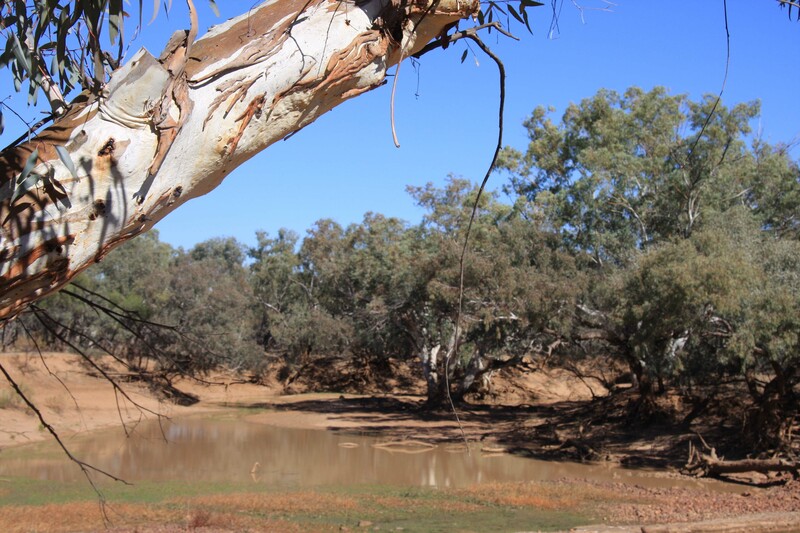 I travelled to Cunnamulla for one day, it is a dreary place on the Warrego River. Could find nothing to photograph except the river. 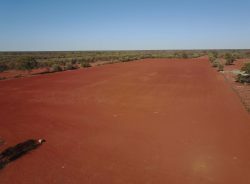 Eulo sports ground is red dirt. Like the throat of the Man from Ironbark, the men are tough in Eulo, and it really is a sports ground. The view west from the sports ground shows the extensive Mulga scrub that surrounds Eulo. 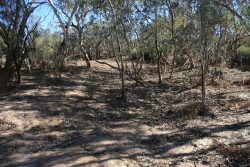 There was also a vegetation spring near the Paroo, but like the mud spring, it is now dry and the special vegetation that used to exist is no longer present. It rained today and the red dirt turned to mud, started to pack up and left many tracks in the mud, not sure the photo shows them well. But now in the afternoon, the sun is out again and the ground is quickly drying, by tomorrow you will not know it rained. 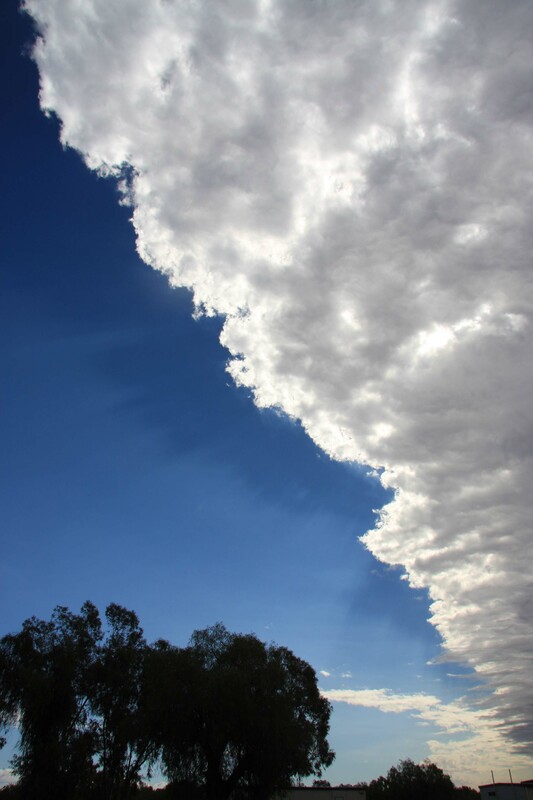 As the cold front passed there was a the end of the clouds in a line across the sky. 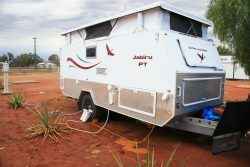 Tomorrow I am off the Alroy Station about 60 Km north of Eulo for a couple of days and then I will head south to Currawinya National Park for a few days. Not sure about mobile coverage so I may be out of range for 5 days. I’ve enjoyed reading this, Russ. I envy your clear night skies and the ability to see things without any light pollution. There are only a few places in the UK where you can get close to true dark skies. Thanks to your trip, I have “dug out” my copy of “The Dig Tree” by Sarah(?) Murgatroyd. It’s a compelling story. That’s good David, the sky seems to go forever, so immense. Sarah’s book is a good one, it is sad she died of cancer soon after she published the book. Follow Burke and Wills Across Australia by Dave Phoenix is also a good book and one I have been following. It has lots of extracts from diaries of participants in the expedition which add lots of colour and impact. Sarah’s book covers more of the organisational catastrophes and journeys of other explorers. They fit well together. Loving the photos from the drone Russ, it must be a lot of fun. It is Barb, bit scary sometimes when you get it up high, it looks like a fly, the return to home function is reassuring though.